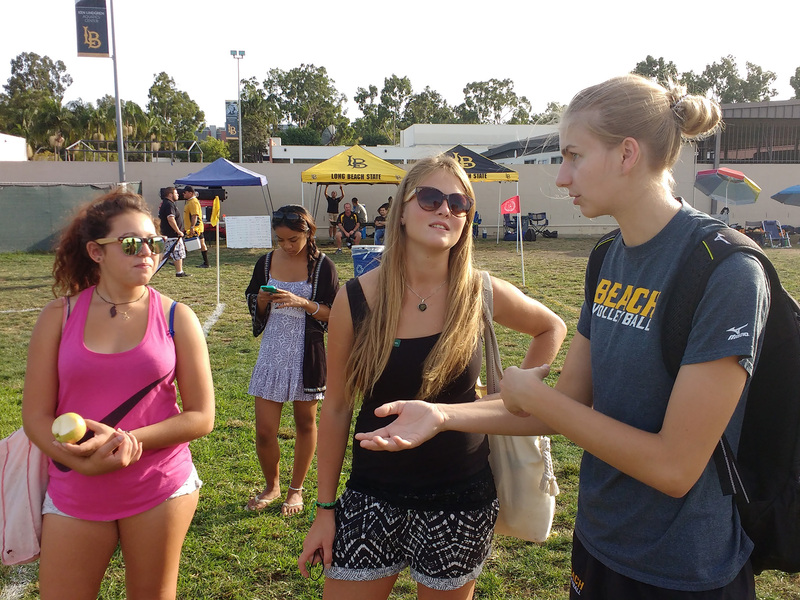 After hanging out with Ben Wegener at Grand Avenue, Stefanie, Zeinab, and I drove down to Long Beach State to visit with Nele Barber. Nele is a volleyball player from Berlin. She played her first 2 years of college volleyball at Marquette University in Milwaukee, Wisconsin. After freshman year the coach that had recruited Nele, Bond Shymansky, left Marquette to coach at his alma mater, the University of Iowa. In a new country and without the coach that had recruited her, Nele felt a little lost. After sophomore year she told Long Beach State that she was interested in playing here, and the reply was that they’d been looking at her too! So it’s Nele’s junior year, and her first at The Beach. And she’s taking my Introduction to the Visual Arts class. When Stefanie and Zeinab told me they were coming, I thought they might like to meet Nele. They might share a few stories about home or travel, and Stefanie is also a volleyball player. It turns out that Berlin is a little over a 6-hour drive from Sonthofen. Almost the distance from LA to San Francisco. We decided to try a little Geocaching. First we tried the cache at the Pyramid which I tried to find and failed back in July. Yay! We found it! 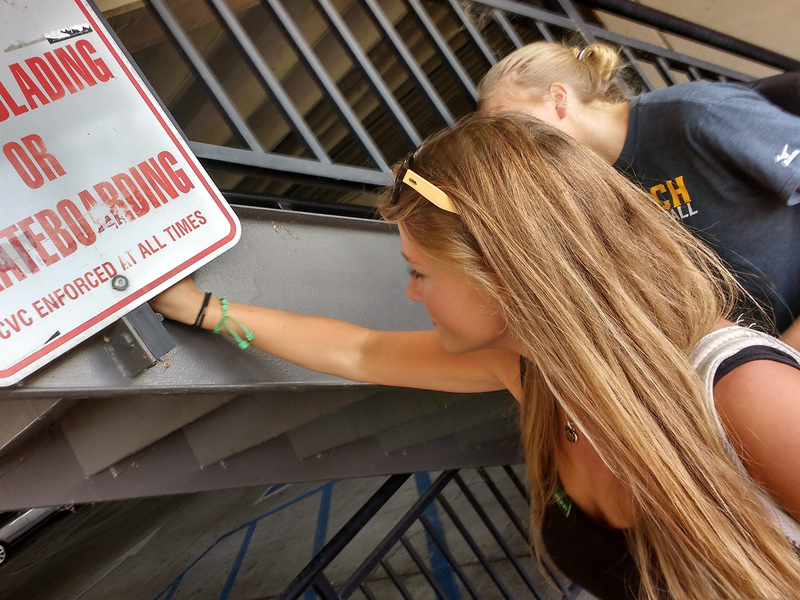 Then Stefanie found the Track Stadium cache! 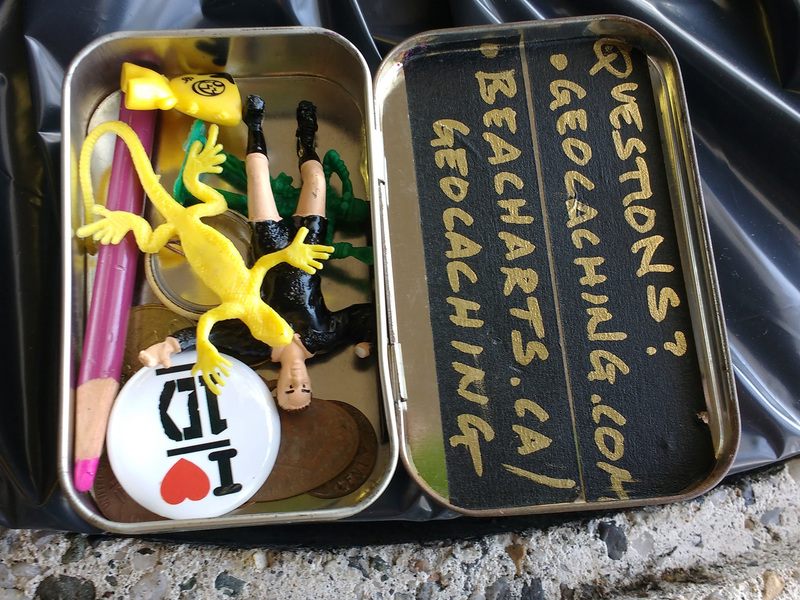 Trinkets in the geocache, including the awesome “I heart One Direction” button! 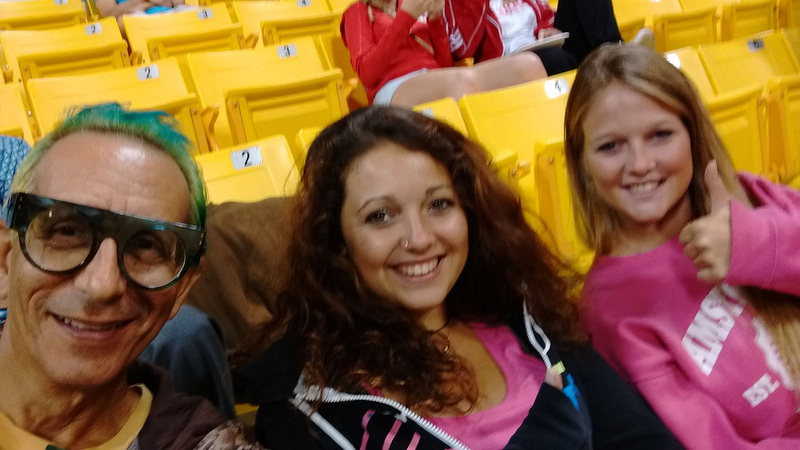 After our 2 geocaching finds we went over to the field and watched a Long Beach State Rugby match. 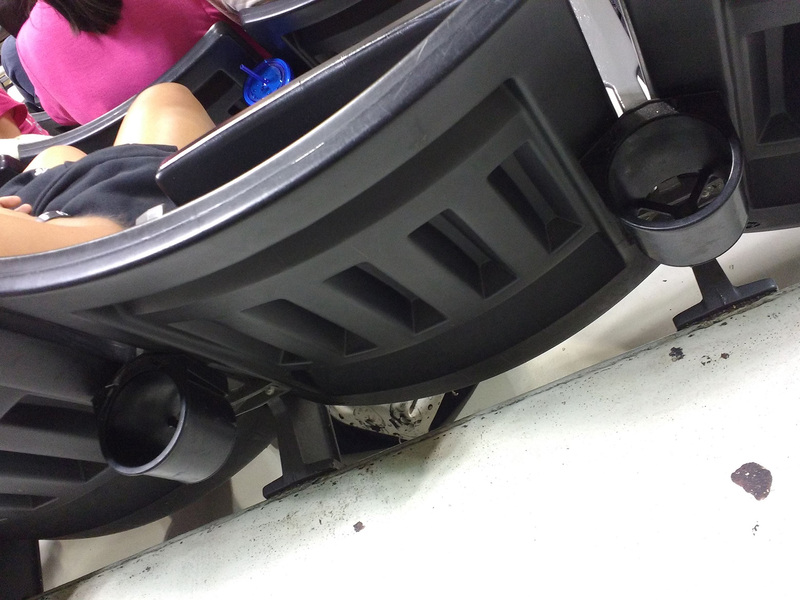 The awesome Pyramid facility has a Cell-Phone-Holder at every seat! 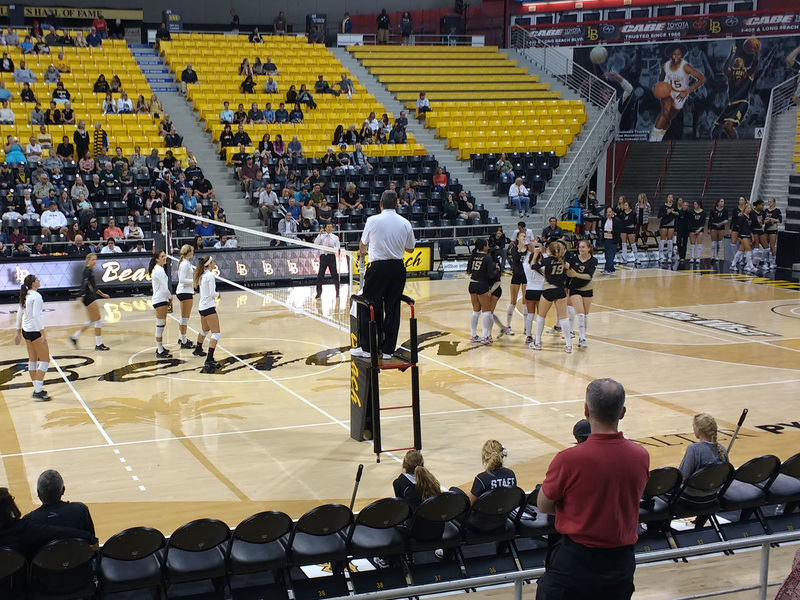 After losing the 1st set 25-27, and then losing the 2nd 14-25, I was pretty sure Long Beach was going to lose the match against Cal Poly SLO. I should have had more faith! Long Beach won the 3rd & 4th sets and then won the 5th in extra points. What an exciting night! In the end it was a career high night for Nele.